Zwartbles sheep were first imported from Holland in the early 1990’s and have since become established in all areas of the UK and Ireland. 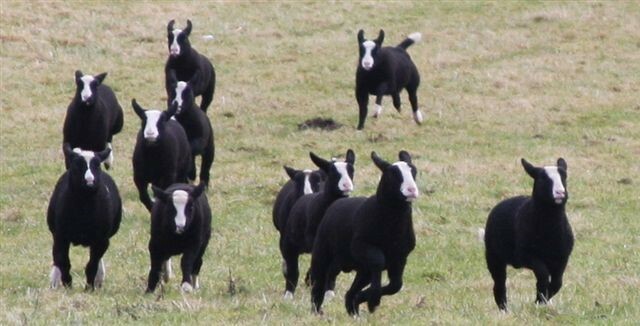 Zwartbles are an elegant sheep (Zwart-Black, Bles-Blaze) with outstanding maternal properties making them an excellent crossing variety as well as a pure breed. Pedigree Zwartbles have enjoyed considerable success in the show ring due to their striking appearance, amenable nature and lively character.